There are thousands of jobs, and thousands of jobless youth. It doesn't take an economist to figure out what went wrong- these jobless youth rejected those jobs and chose to remain jobless rather. Why would a hungry man deny an offer of food? Well we still don't need an expert to figure out the answer- who would want to eat stinking food? The rejected jobs are not worth taking in all sense of the word. And then from our cozy offices we shun the attitude of our youth, we recite the whole document on dignity of labour but what we are ignoring is the dignity of the work. It has never been the question of indignity of labour that repelled the job-seekers from the potential jobs though many proclaim it to be. Youth were always ready to work on all fronts if only the job has enough dignity to deserve their effort. These rejected jobs in Bhutan are dirty and cheap, and still expect young ambitious children to embrace them. Bhutanese, young and old, hold their heads high and look down upon those jobs, but most of them are dying to babysit in New York, dish wash in Amsterdam, house keep in New Brunswick, collect grapes in Queensland, and do laundry in Perth. Someone who keeps three house keepers at home doesn't mind housekeeping for someone in the west. All these prove that Bhutanese don't mind sweating, they don't mind getting their hands dirty as long as they are paid well, yes money matters. Money draws thick lines across society and it takes a life time to cross those lines. How could we expect our youth to work for a salary that is lesser than someone lunch bill? This is one thing that makes up for a dignity of work. The other thing that gives dignity to work is the respect to the worker and his work but who gives a damn to a sweeper? Who cares what a peon thinks? Who listens to a driver? Who wouldn't shout at a security guard? Who greets a cook? Therefore who would want to work for a job where there is no respect? We don't think once before we send an elderly sweeper to buy doma or just a packet of wiz, we want our driver to open the car door for us, we want our driver to carry our shopping bag, we want our security guard to carry our baggage. In short we don't respect their job. These and many more factors make those common jobs very unattractive, and thus these jobs are rejected. The bothering question is not that there are many unemployed youth, nor that there are many vacancies without takers, what is important is how to bring the two sides to an agreement. And I propose my suggestions. With minimum wages,employers out there want super quality work. Without better working environment and security, employers want hard work and dedication. What is the use of studying for sixteen years, well, had we known such trends, then we could have taken other small jobs so called "dignity of labor" and made enough income to survive and stand on our own feet.So, before they choose sprinter, they should make sure to choose someone who can walk properly. Exactly, we need to respect our workers and give them dignity before we talk about dignity of labor. Bhutan is a small country with less population and with the given economy and development it is not very healthy idea to blame anyone for the unemployment. His Majesty rightly said,"it is not enough to succeed but you must excel". with a very limited jobs we have in the market I'm sure each and every one cannot be provided with the job they desire without the required qualification. There is mismatch between the job and person in our country. People wanted a decent and well paid job with just a degree and without any experience. sir, I'm not trying to offend anyone here but as a young boy who will be soon joining the job market I do realize what are the problems I'm to face in future. I'm sure if I have good degree marks and do well in the RCSC examination no one stop me from becoming somebody. If 1000 people topped RCSC exam, then? Well, It's okay with the jobs at the top but I am talking about the rejected jobs. Dear sir, i m a die hard fan of yours and cant stop admiring your writing. i got inspired and started a blog myself, copied some of your ideas....hhhhaaaaaaa..... i have written an article named I love passudiary. would you mind to please go through my blog? Its not really good but want to learn from you. Hope you will help me. My blog is appyzbugblog.blogspot.com. thanks.....have a nice day. 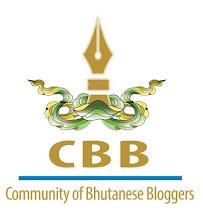 Dear Dechen, thank you so much for loving my blog and writing about it in your own blog. I read you blog and followed it. I even have your blog in my blogroll so that I can catch up with you as you write new posts. I am very happy that I could inspire you so much, I hope you will continue to write, it doesn't matter what you write for the next hundred posts, and by then you would have already know where you are heading. You will find you voice by then- for now you only have to write what ever strikes your mind. Best Wishes. Thank you so so much la. It means a lot to me. To write has been my dream for long but i could only start writing,following your steps.One thing i love about your blog is ....u write what you think,not theories. Please keep on writing and i will keep on learning as long as u keep on inspiring me. and your daughter is sssssooooooo cute and damn lucky to have a dad like u..love from my side.